In the days before Thanksgiving, there is just so much to think about — finishing work, travel arrangements, packing, FOOD, and more. The time that we are able to enjoy with family and friends after all the commotion feels fleeting. 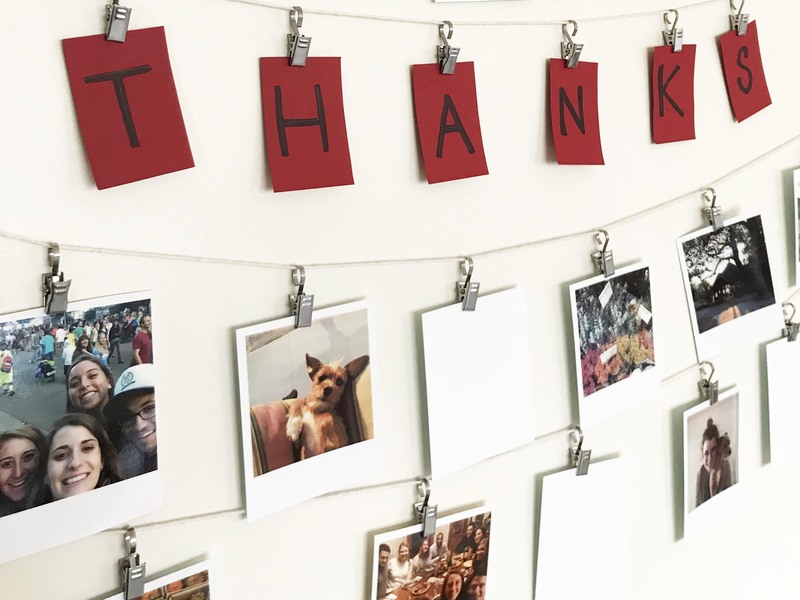 We created this DIY Thanksgiving Memories Display so that we could capture and hold on to these coveted moments. 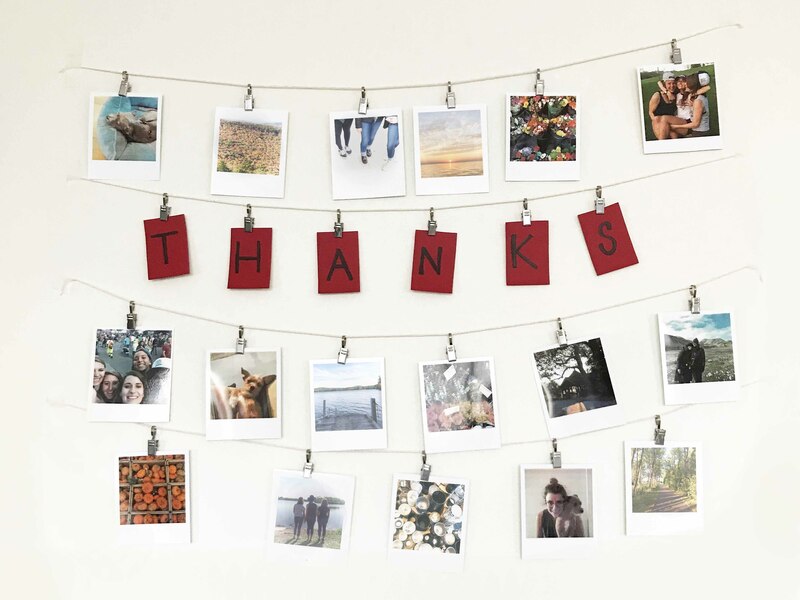 This display, which starts as just string on a wall or board, will collect photos throughout your Thanksgiving celebrations. By the end of day, your DIY photo display will be filled with memories and each guest can take a photo home. The best part about the Polaroid POP instant digital camera is that you can go back and reprint any ones that you want for yourself! Once you have your supplies, cut your twine in equal lengths and place them on a wall or board. You can use pins or adhesive to do this. 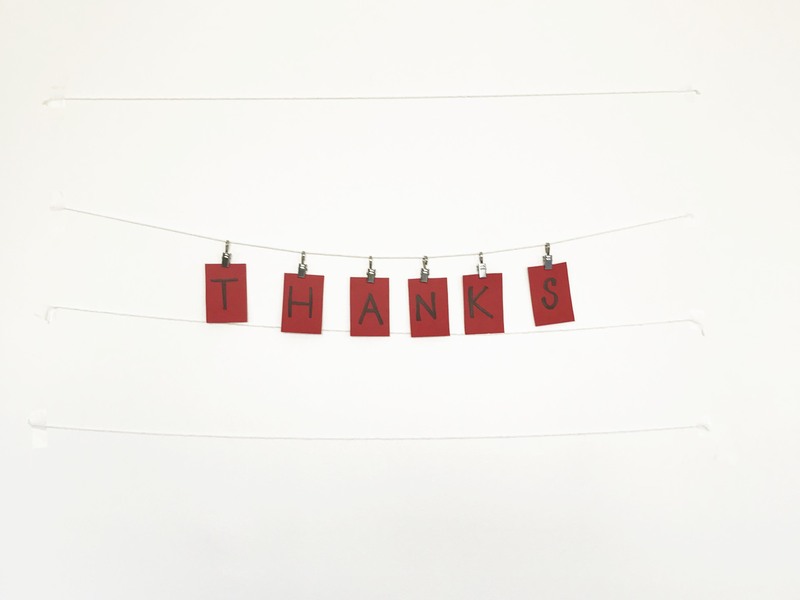 Then, if you would like to put a word on your memory board like we did, cut out pieces of paper in whatever size you want (we did 2"x 3") and hang them on your string. Leave the photo clips on a table by the board or pin them up without photos so that your guests know to add photos to the display. Then just pass around your Polaroid camera and start collecting memories. Enjoy your Thanksgiving! 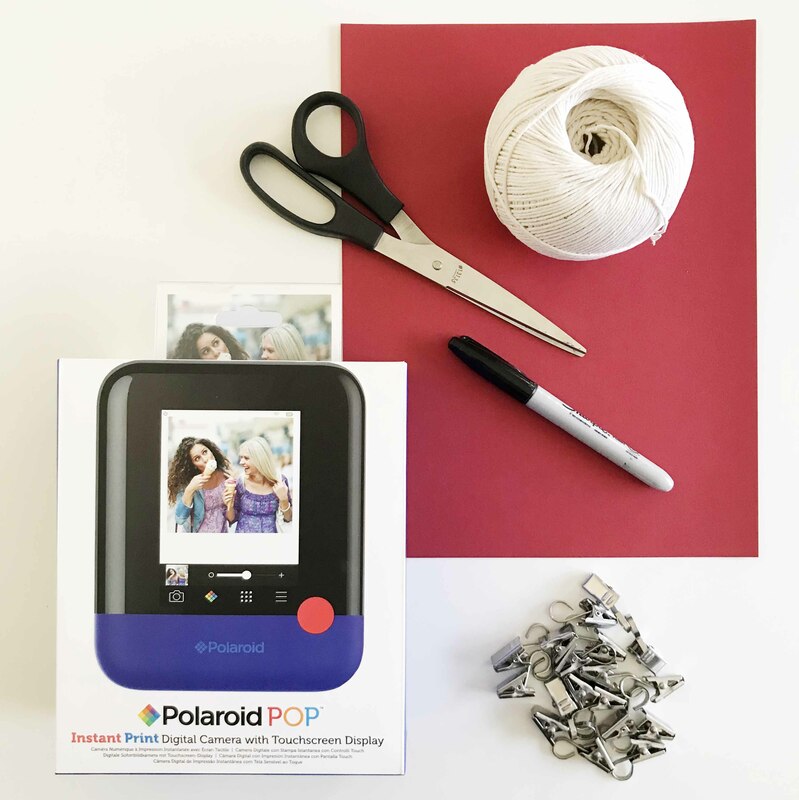 Click here to learn more about the Polaroid POP instant digital camera.